A 3 year old white boy Lukas Van Rooyen got lost in the forest. He was not found. Almost a decade later during census many kilometres away on the other side of the forest a white child named Benjamin Komoeties was found in the family of coloureds (in South Africa refers to people of mixed ethnic parentage). Was he the missing Lucas? Though, the white officials who carried out the census only cared about was why must a white child live with a black family? They took Benjamin away and was determined to never bring him back. Is Benjamin Komoties really the missing Lucas Van Rooyen? life and his identity. What happens when you rip out a child from one family to another? Why didn't the authority think about this before they took him away? They simply thought that Fiela Komoeties couldn't be his mother because she was black and he, white, when she has raised him up as her own and loved him with all her might. They do not care. They'd rather leave him with a dysfunctional white family. As I later found out, this novel is based on a true story though it was written in form of a fictional biography. A very moral and thought-provoking story. An intense read. I was so eager to know if Benjamin was really Lucas, and how could a 3 year old boy walk that distance and safely finds himself on the other side of the forest. Who is Benjamin Komoeties? What really happened to Lucas Van Rooyen? 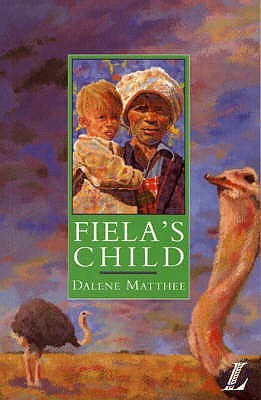 This story was set in the 1800 in rural South Africa and I also read somewhere that it is in motion pictures too. I'd like to see it. It goes without saying, that I really enjoyed this novel. Even though, it was set in South Africa during pre-apartheid, all the same you can still feel the white dominance and the way they look down upon the black people who call them "master". I highly recommend. Mary, a very poignant review. Thank you! I have been away for a while!